Dr BRANISLAV RABOTIĆ is professor at the College of Tourism in Belgrade where he teaches three subjects: Travel Agency/Tour Operator Business, Special Interest Tourism and Tourist Guiding. He also runs the specialization course Management of Tourism Intermediaries. PhD dissertation titled Tourist Guiding in Contemporary Tourism successfully defended on December 24, 2009 at Belgrade's Singidunum University, Department of Postgraduate Studies (doctoral degree in Economics). MA degree at Belgrade University (1982) with a Master's thesis entitled The Role of Travel Agencies in the Process of Tourism Development in Yugoslavia. BA degree at Belgrade University (1977), Faculty of Tourism Sciences. Took a special course and the examination for professional tour guides of Serbia (1975), and holds the official Guide License issued by the Ministry of Tourism. Appointed as Director of the Centre for Research and Development of the College of Tourism (2013). Appointed as Professor at the College of Tourism in Belgrade (2011). Appointed as Lecturer at the College of Tourism in Belgrade from October 1, 2008. Created and conducted a special program of regularly scheduled cultural walking tours of Belgrade, including Belgrade Fortress Tour since 06/28/1998 and Old Town of Belgrade Tour since 06/26/1999. These heritage interpretation tours, sponsored by the municipality of Old Town, are conducted to better inform the citizens of Belgrade, especially the youngsters, about the city's cultural heritage, and to promote a wider interest for cultural monuments generally. Founded and managed for six years the Sun Ways travel agency in Belgrade (1993-1999). Taught at Belgrade University (ex Faculty of Tourism Sciences) as Assistant Professor (1978-1991). Employed by the Yugotours tour operating company (Outgoing tourism department), 1978. Traveled frequently (1975-1992) to various European countries and cities (especially Greece) as a professional tour manager for various Yugoslav travel agencies. Wrote for various student newspapers published in Ljubljana, Skopje, Pristina and Sarajevo as a Belgrade based correspondent-student journalist (1974-75). Authored the book Special Interest Tourism, published in Serbian by the College of Tourism, Belgrade (2012, 2013). Authored the book Tourist guiding - theory and practice, published in Serbian by the College of Tourism, Belgrade (2011). Authored the guidebook Belgrade Fortress, published in English, 2011. Participated in the 1st Belgrade International Tourism Conference 'Contemporary Tourism: Wishes & Opportunities' with his paper The tomb as tourist attraction: The House of Flowers in Belgrade (March, 2012). Participated in the 2nd Biennial International Scientific Congress 'The Influence of Tourism on Economic Development' (Skopje, FRY of Macedonia) with his paper American tourists' perceptions of tourist guides in Belgrade (April, 2011). 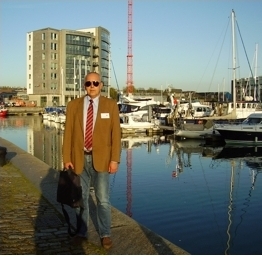 Participated in the International Research Forum on Guided Tours (Plymouth, UK) with his paper Perceptions and Self-perceptions of Tourist Guides in Serbia (April, 2011). 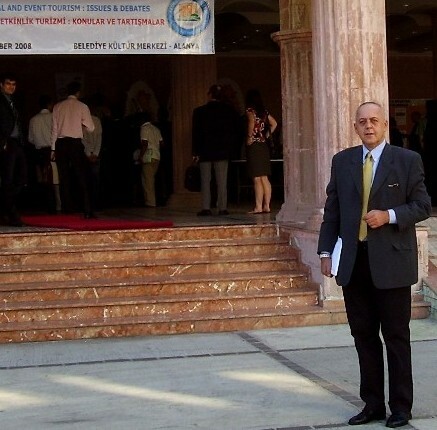 Participated as invited speaker in the 2010 International Congress 'Regional Cooperation in Tourism of South-East Europe', Portoroz (Slovenia) with his lecture Destination management: The role of domicile tourist guiding in the development of tourist destinations (June, 2010). Participated in the 2010 International Congress 'Tourism and Hospitality Industry 2010: New Trends in Tourism and Hospitality Management', Opatija (Croatia) with his paper Tourist Guides in the 21st century: The Role of Interpretation in the Construction of Tourist Experiences (May, 2010). Participated in the 2010 International Conference 'Sustainable Tourism: Issues, Debates and Challenges'', Heraklion & Santorini (Greece) with his paper Tourist Guiding From the Perspective of Sustainable Tourism (April, 2010). Participated in the 2010 International Conference 'Tourism and Environment', Sarajevo (Bosnia & Herzegovina) with his paper The Role of the Tourist Guide in Contemporary Tourism (March, 2010). Participated in the 2009 International Conference 'Cities as Creative Spaces for Cultural Tourism', Istanbul (Turkey) with his paper The Creative Role of Tourist Guiding (November, 2009). Participated in the 2008 International Conference on Culture and Event Tourism: Issues & Debates, Alanya (Turkey) with his paper Tourist Guides as Cultural Heritage Interpreters: Belgrade Experience with Municipality-sponsored Guided Walks for Local Residents (November 2008). Participated in the Third Biennial International Congress HOTELPLAN 2007 (Congress Session: Education, Informatics and Communication) with his paper Tourist Guides as Mediators in Cultural Tourism, Belgrade, November 23/254. Engaged in the project "Education of the labor force in tourism: Travel Agency Operations; Tourist Destination Management" (sponsored by Ministry of Trade, Tourism and Services and organized by the Faculty of Tourism and Hotel Management) with a series of lectures on the themes: Tourist Guides: Potential for Improving the Quality of Serbia's Tourism Offer and Tourist Guiding and the Destination - Visitors interaction (March-October 2007). Authored the guidebook Belgrade Fortress in Your Hands, published in Serbian 2006. Appointed by Ministry of Trade, Tourism and Services (2006) as lecturer in the course for candidates applying for licenses as tourist guides at the Faculty of Tourism and Hotel Management (Singidunum University, Belgrade), for the subject Tourist Guiding: Skills and Practices. Engaged in various research projects at the Institute for Tourism, Belgrade University to study the organization and promotion of tourism and tourist trade practices (1978-1991). Serbian, English, Greek, Russian, basic French and German. 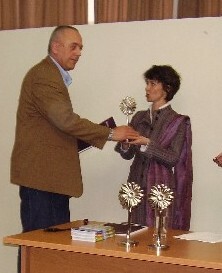 2005 TOURIST FLOWER AWARD for Excellence in Tourism (The award is given by National Tourism Organization of Serbia).